The right carry-on bag is a vital part of making a long trip on a plane as smooth as possible for you and your children. Most airlines allow one carry-on bag and one personal item for each passenger, so you can pack a small bag for each of your kids. But, packing for children adds a whole new dimension to the process. Here are a few tips on how to pack a smart carry-on for those long flights. Don’t forget the travel necessities. Regardless of age (this means you mom and dad), it’s a smart idea to pack a change of clothes and a few toiletries (enough for 2 days) in each person’s carry-on. 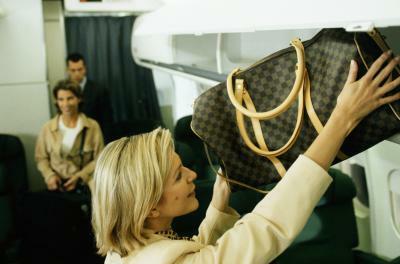 That way, everyone is prepared in case of any travel mishaps or issues with checked luggage. Pack the right food and drinks. TSA has some pretty strict restriction on liquids, but family necessities in reasonable quantities are exceptions to the rule. In your carry on, you can bring juice, baby formula, milk and baby food, but you’ll have to get water or any other drinks after the security checkpoint. Remember though, this is a plane, so be sure to bring sippy-cups for the kids. Some no-so-messy snack ideas for the flight include crackers, pretzels and dried fruit in little baggies, so you can pack them back into your travel bag when you’re done. If you’re traveling with kids, especially younger ones, you’ll want to bring something to distract them during a couple hours in air. These days, kids of all ages are attached at the hip to their gadgets. This applies whether you’re traveling with a 6 year old or 16 year old. With changing airline regulations, even cell phones are allowed. Laptops, tablets, iPods, hand-held video games and portable DVD players are all great options to keep the kids occupied during a long flight, so be sure to pack at least one of the above in your carry on. Some non-electronic distractions include stuffed animals and pacifiers for the younger kids, and books, magazines, or crosswords for the grown-ups. At the end of the day, planes have a limited amount of carry-on space, and you will definitely want your childrens’ bags close at hand. For the under seat bag, use a back pack and put the stuff you’ll be using frequently in the pockets that are easy to access. Keep things like food, formula, diapers etc. towards the top, and divide items up by categories into the different pockets to keep things from getting mixed up. Food in one section, toys in another, sweater in another, etc. Have you taken a long flight with your kids? Tell us about how you got through it and what you packed in your carry on!